Everyone knows that traveling is a rewarding experience, but there seems to be a misconception as to how far you have to go to attain this elusive “reward”. I’m not the most seasoned traveler on earth, but I’ve been to a few different countries and some pretty exotic destinations and I’m here to tell you that my most rewarding experiences occurred right in my own back yard. Surprisingly, there are several places just outside of Houston that meet all of these criteria and today I’m going to share them with you. They are listed in order from what I consider most eye-opening to least. Also, it turns out that they are also unintentionally listed from farthest to closest to Houston, so if the first couple options look too far, scroll down for closer options. Mission Nuestra Señora del Espíritu Santo de Zúñiga, also known as Mission La Bahia, just across the road from the infamous presidio where Fannin and his men fell. Most of you have probably heard the story of the Goliad massacre during the Texas Revolution. On March 27, 1836 about 445 Texian soldiers under the command of Colonel James Fannin were executed under orders from Antonio Lopez de Santa Ana after surrendering with the understanding that they would be treated fairly. The massacre is significant in the history of the Texas revolution as its memory served to strengthen Texian resolve to fight to the end. Cries of “Remember Goliad!” were heard alongside the more famous cries of “Remember the Alamo!”. Despite the site’s historical importance, I’ve always been turned off at the idea of going to Goliad. I love to stand on the same ground and breath the same air that history-makers did, but I guess I like to do it in a celebratory way and going to the spot of a massacre always just seemed a little too somber for me. I wouldn’t feel comfortable having fun there. However, the thing about Goliad is that there is a lot of history to appreciate. 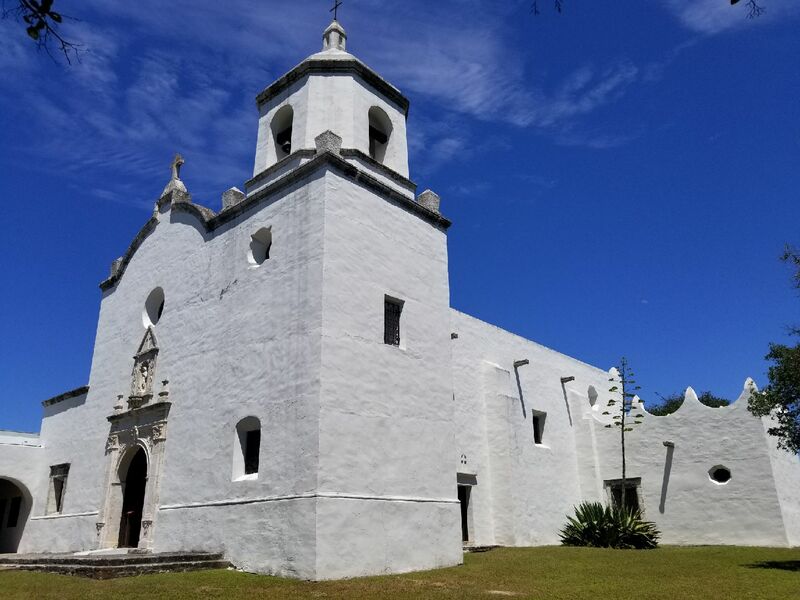 The structures occupied by Fannin and his men were constructed by Franciscan Monks beginning in 1722, long before the Texian Army, or even the Republic of Mexico, existed. It was all part of an effort by the Spanish to increase their sphere of influence in the North American frontier and maintain their claim to the land there. The Monks were charged with the task of converting local Native Americans and transforming them into loyal Spanish subjects. Yours truly not trying to be cool at all. At the time it was constructed, the magnificent stone church would have been the largest structure around for many miles. It’s stark white facade would have stood in sharp contrast to the rough, parched prairies that surround it and would have made a powerful symbol of Spain’s supposed mastery over nature. The nearby Presidio, which is the actual spot where Fannin and his men held out against the Mexican army, was built later to protect the mission from nearby hostile tribes. The mission also maintained a large heard of cattle and was one of the first ranches in Texas. 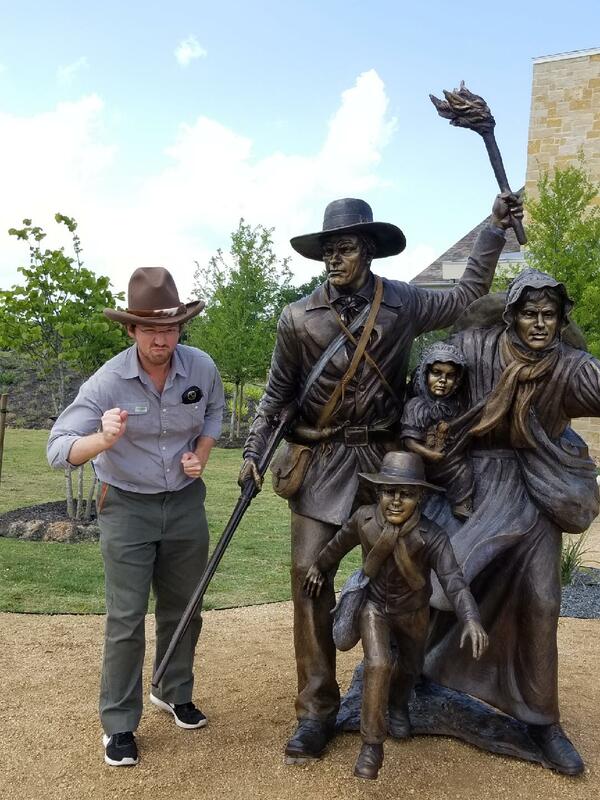 Today you can visit the reconstructed mission and the all original presidio and experience the evolution of Texas culture spanning 200 years, starting with interactions between Spaniards and Native Americans that produced a rich hybrid culture and then later interactions with American colonists. In addition to the Mission and Presidio, there’s a wonderful historic district in town with some cool antique shops, a magnificent courthouse and even a hanging tree. These days a lot of people seem to have forgotten that Texas has always been a very diverse place. Immigrants from all over the world have been attracted to the seemingly limitless expanse of land and opportunities that Texas has to offer for well over a century and even today you can find some amazing little communities that still maintain their traditional European, African, Native American or Asian roots. One great example of this is the painted churches of Texas. 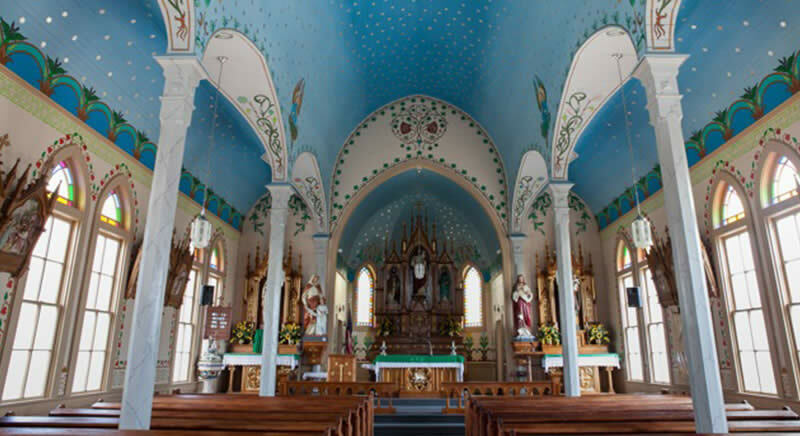 These churches were built in the late 19th and early 20th centuries by Czech and German immigrants. There are four churches in all, plus a few sattelite churches that are still impressive but a little further out of the way. The structures are famous for their elaborate interior decorations reminiscent of Medieval Gothic structures back in Europe. The churches are centered around Schulenburg, but are each located in different towns so expect to be driving all day. Also, they are churches, not parks. So although it’s okay to go inside (except sometimes on special occasions) you should always be respectful, whether you subscribe to their beliefs of not. Part of the reason this trip is so special is because it gives you a chance to interact with members of these churches. While visiting you may run into a preacher or parishioner. Don’t be afraid to talk to them or ask questions. There are no text panels, so if you want to know the significance of a particular architectural piece or painting, ask someone. Chances are, you will end up learning things about the history of their community that you never would have thought to ask about. I actually haven’t taken this trip yet as I only heard about the Painted Churches a few days ago (it’s actually what inspired me to write this blog) but I plan to go as soon a possible. The San Felipe de Austin Visitor Center and surrounding historic site with beautiful wild flowers. Sand Felipe de Austin was the hub of Stephen F. Austin’s first colony in Texas. The “Old 300” all passed through the settlement, the decision to declare independence from Mexico was decided there and it was the first provisional capital of Texas. Unfortunately the city was burned down by the Texian Army during the infamous Runaway Scrape in 1836. Today, nothing remains of the original town except for an old well and an empty field. However, the Texas State Historical Commission has recently started work on a major project there. They’ve built an impressive visitor center with state of the art exhibits and from what I’ve heard they also intend on building a sort of living history recreation of the original town that is supposed to open in 2019. As of now, work on the living history part has not begun, but in the field behind the visitor center, they have established a system of trails that follow the routes of the original streets of the settlement. So you can basically walk the streets of this literal ghost town. It actually gave me a kind of eerie feeling. Here and there are text panels that mark the place where significant buildings stood, such as William B. Travis’ law office, local hotels and blacksmith shops, etc. Most of the panels also include an anecdote drawn from original journals and newspaper articles from the era. 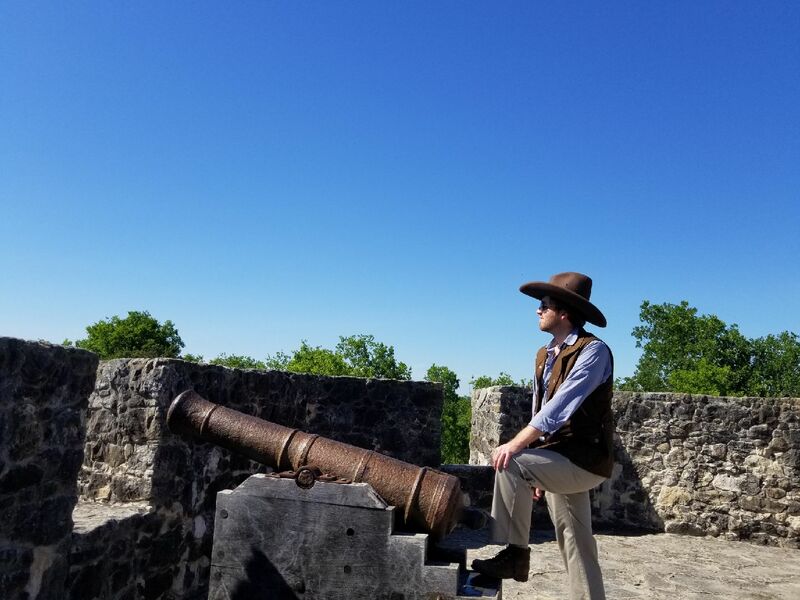 In all it was a surprisingly fun experience that basically allows you to use your imagination to recreate this quirky frontier town that happened to be the birthplace of the Republic of Texas. 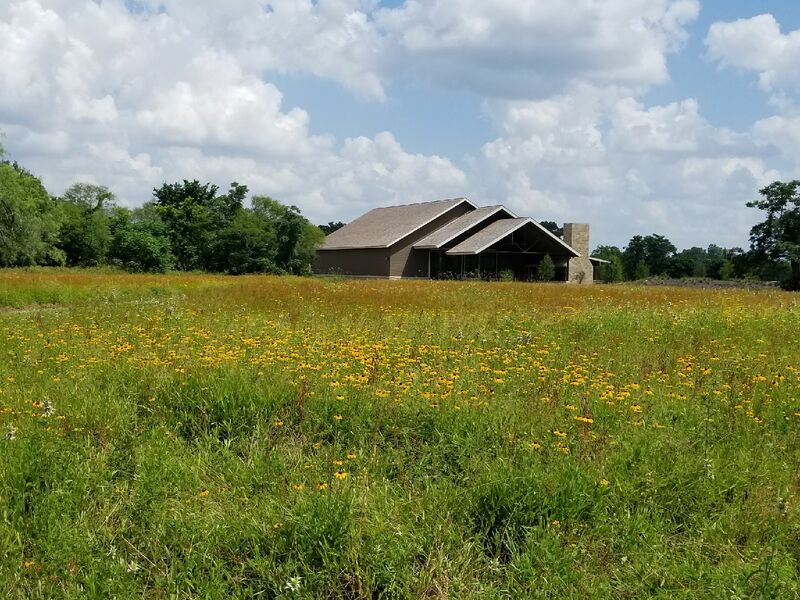 The beautiful wildflowers that cover the field are also a plus. 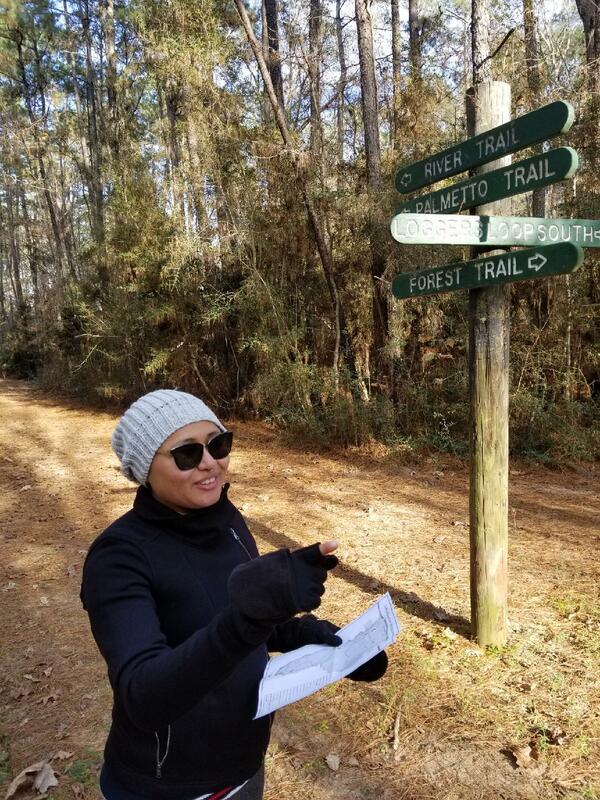 Stephen F. Austin State Park, just down the road from the visitor center, has some nature trails that cross the beautiful forest to the riverfront, so even if you’re not a history buff, the area offers some pleasing views of nature. San Felipe de Austin is only about 40 minutes from downtown, so it’s well worth the drive. Since Brazos Bend State Park is home to HMNS’ George Observatory, you’re probably thinking I’m trying to pull a fast one on you. I’m just pretending to offer good advice so I can slip this subliminal advertisement in. But Let me tell you, I honestly think that Brazos Bend State Park is an awesome place to visit and after you read this entry I’m sure you will agree with me. First off, Alligators. The park is home to so many of these prehistoric beasts that you’re sure to see at least one during your visit. Alligators are one of those animals that I can’t even believe exist. Sure, I see them on tv all the time, but we are bombarded with so many unbelievable things on tv that it’s easy to assume that whatever we see on the screen is an exaggeration, that all the cool animals (like dinosaurs) are dead and any documentary or whatever that says different is just trying to impress us for entertainment’s sake. 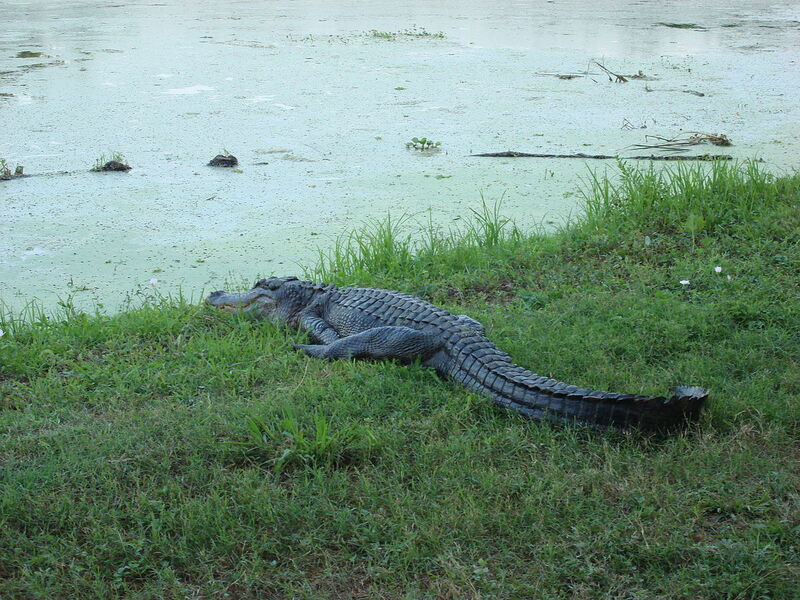 But trust me, seeing a real alligator will totally surpass any expectation you may have. Other than scary animals, the park gives you a chance to see what the Houston area looked like before humans took over. You may be surprised to see that Houston was a pretty rough environment. After visiting I was both more impressed that early settlers had managed to tame this land, and a little sad at the loss of native ecology we have suffered. And, of course, there is the George Observatory. Here’s the thing about the Observatory, and about Space in general: I was never really in to Space myself, I suppose this was primarily because I grew up near the city, where the stars were hardly visible due to light pollution. But when I took the opportunity to go outside the city, visit the George and look up I instantly became fascinated by what I saw and have since made it my mission to learn the constellations and planets and try to make more sense of the amazing spectacle. I encourage you to try it yourself. Honestly, this entry is very similar to the previous one, the only difference being that it’s home to a completely different ecosystem. 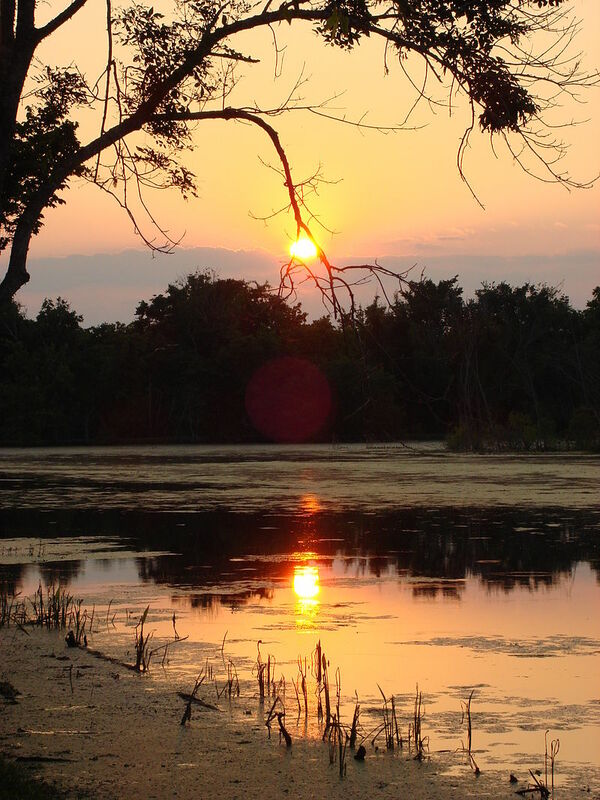 Lake Houston Wilderness Park is a slice of wilderness right across the lake from Humble. It’s surprising how isolated you feel so close to the city. It’s all piney woods criss-crossed with scenic little creeks and running all the way up the the shores of Lake Houston. It’s the kind of place where you can spend hours frolicking in the forest, spotting wild animals and just enjoying the soothing sounds of nature. For the kids, there’s a nature center with a few exhibits and lots of space to play games. There’s not really much more to say about this destination, but that’s kind of the draw. It’s a forest; quiet, undisturbed close to the city. That in itself is pretty special. I hope this small list of nearby destinations has been helpful. Although they may not seem very exotic, each of these places changed my understanding Texas, its history and its ecology and allowed me to feel a closer connection to my home state and all who inhabit it.. I encourage anyone who reads this article to try visiting these places yourself. Also, if anyone knows about any other nearby destinations that you think should be included in this list, comment about it. Even though I’ve lived in the Houston area my entire life, there are still so many amazing local destinations that I’ve never visited and probably a bunch that I’ve never even heard about. I would suggest the Hogg family home in West Columbia (Varner-Hogg state historic site). It’s particularly interesting in conjunction with a visit to Ima Hogg’s Bayou Bend. Previous Post Weird And Unexpected Pollinators Who Help Keep Our World's Ecosystems Going!